64, of Fortine, passed away June 19 in the presence of her loved ones. Patricia was born May 6, 1948, in Bellingham, Wash., to Warren “Mick” and Dorothy Read, where she grew up. She later moved to Montana. Pat was known to many as Ma, Nana, Auntie Pat, Sister, and Friend. She enjoyed the outdoors; some of her favorites were horseback riding, fishing, hunting, and going ice fishing with her boys. Patricia is survived by her brothers, Andy and Jim Read, and sisters, Shirley Mullen and Kelly Yamane. Pat’s legacy of love will continue to live on through her three sons: Mickey, Michael, and Matthew, her grandchildren: Megan, Kathy, Mickey Jr., Elizabeth, Kandra, Mckay, Shelbie, Warren, Matt Jr., Haidyn, Wyatt, and Austyn, and her great-grandchildren: Ariel, Eric and Montana. Patricia will be reuniting with her mother and father who predeceased her. 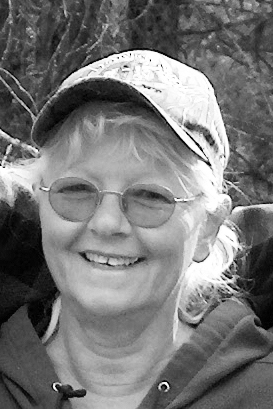 Pat will be greatly missed by all who knew her, and those who love her “with all our hearts” as she rides the wide open trails in the sky.